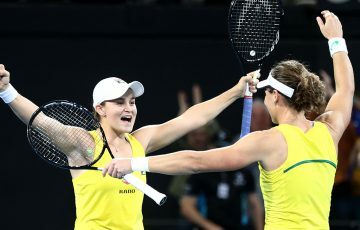 Number two seed Ashleigh Barty had little trouble in defeating Ashley Keir on court six today in the first round of the Australian Open Play-off. Her 6-1 6-2 win came in just 54 minutes as she avoided the heat with temperatures tipped to enter the high twenties and early thirties this afternoon. The second seed raced out of the blocks to an early 2-0 lead, far quicker to settle into her game than Keir, who made a series of unforced errors. Barty was able to control the court, her placement and movement a real feature of her game as she held serve to make the lead 3-0. Keir on the other hand was struggling to control her serve, double faulting the first two points of her service game, which led to Barty breaking again and looking ominous at 4-0. 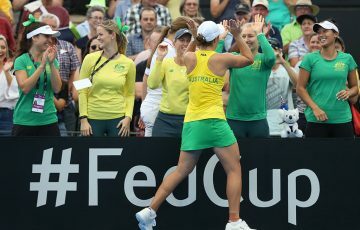 Kier was becoming increasingly frustrated with her struggle to work her way into this contest, which was rapidly slipping away from her, while Barty had little trouble in holding serve to take her to 5-0 and one game from the first set. In the sixth game though, Keir finally got herself onto the scoreboard, forcing a host of unforced errors from Barty and serving with some consistency to force her to serve for the set at 5-1. The seventh game proved very costly for Keir, who appeared to have grabbed some temporary momentum, having two break point chances with the score at 15-40, only to miss both and lose the last four points of the game to concede the set 6-1 to Barty, who looked very precise and organised. Keir’s woes continued in the first game of the second set, unable to get a first serve into play and double faulting. 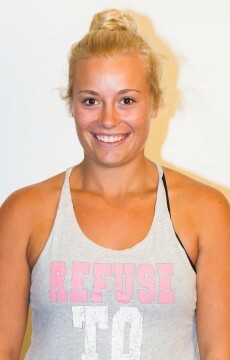 She lost the game to shortly after as Barty continued to press on, taking a 1-0 lead. Barty remained clinical in her service game, making a high percentage of first serves and using her groundstrokes exceptionally well to take her lead to 2-0. In the third game it was much of the same, as Keir’s struggles with her serve led to her being broken again, as she had little to no answers for Barty’s high class returns. She attacked the second serve vigorously and found the corners with ease, then held her own serve to take the match to a tipping point at 4-0. Kier, however, mustered a charge in the fifth game, serving the best she had in the match to get herself on the board, Barty’s lead 4-1. After the change of ends, however, business as usual resumed, with Barty’s high class service game matched equally by her backhand and forehand, which set up the points beautifully before delivering some excellent touch tennis, with a lovely drop shot taking the game and her lead to 5-1. Kier was able to hold her serve for only the third time in the match, but it was merely delaying the inevitable as Barty held serve, claimed the second set 6-2 and won the match in comprehensive fashion. 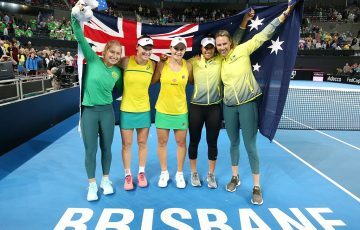 Barty said she looked to attack the second serve of Kier to get herself into the point, but ever the perfectionist, she insisted it still needed work. Her quarterfinal opponent will be Bojana Bobusic, the number five seed from WA. Barty is friends with Bobusic but insists that when she takes the court, that friendship will count for nothing. The way Barty played today, Bobusic will find her tough to beat come Thursday, with the number two seed intent to continue her play-off campaign beyond the next round.